Believe it or not, this thread would shock a lot of people as i was shocked. There are some cities that are very popular in some countries that we think they're the national capitals, whereas they're not. 1. 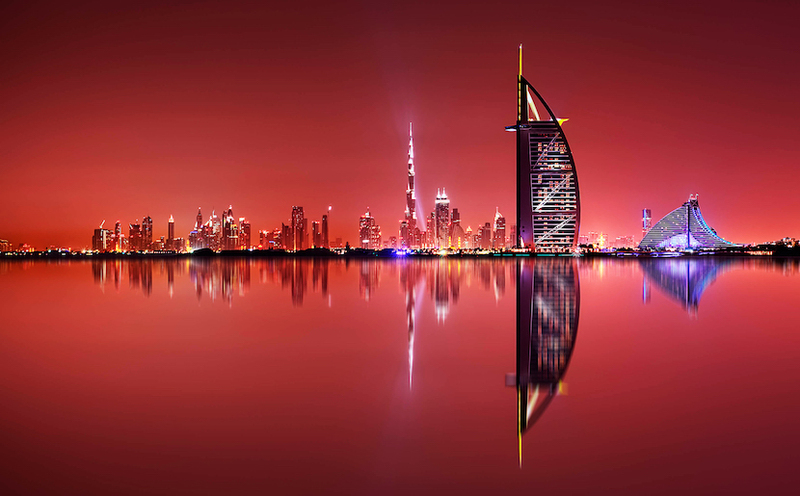 Dubai: Dubai is not a country as many people might believe. You hear people say "I'm going to Dubai'. Dubai is the largest city not a country or capital. 2. Johannesburg: Nigeria played South Africa last Saturday and i'm sure a lot of Nigerians would think Johannesburg is the capital. Interestingly, South Africa has three capital cities, none of which are "Jo'Burg". Divided by branch of government, the capitals are: capital of the judiciary is Bloemfontein, capital of the administrative branch is Pretoria with Cape Town acting as the country's legislative capital. 3. Sydney: Since the Olympics in year 2000 (Sydney 2000) A lot of people think Sydney is the capital of Australia. It is not. Iconic though its harbor and opera house may be, it doesn't get star billing. Canberra, which is just a few years away from its centennial celebration, is actually capital of the land. It is not Melbourne, Perth and Adelaide. 4. Munich/Frankfurt: Many Nigerians would know Munich and Bayern Munich or 1860 Munich, likewise Frankfurt when JJ Okocha played in Germany. Well the Capital of Germany is Berlin. 6. Switzerland: This country serves as HQ for many world Organizations like the UN, UNESCO etc. The capital is not Geneva, Neither this nor Zurich serve as this precise country's capital. The picturesque, tranquil, UNESCO-recognized town of Bern holds this honor. Roger Federer is from Basle, but not the capital. 8. Casablanca: Football fans are familiar with Raja Casablanca and tourists are familiar with Fez or Marrakesh. Not only is Casablanca not the capital of Morocco, neither are the other two top contenders, Fez or Marrakesh. Peaceful and culture-rich Rabat serves as this North African country's capital. 10. Spain: Many may think it is Barcelona, since Lionel Messi plays there. Capital is actually Madrid. Informative and funny at the same time. Johannesburg was the most surprising for me due to it's popularity and Istanbul too. Lalasticlala what do you think? I'm actually surprised that Geneva is not the capital of Switzerland after all these years in secondary school. It is really surprising and I'm sure it would be to millions of Nigerians. Yeah I guess so too. Nah I always knew it was Pretoria . What about Canada, Ottawa is the capital but Toronto, Montreal and Vancouver are more popular. Wonderingd to do something for the supermods to move to home page. Abidjan is also very popular, but not the capital. Like Frankfurt and Munich in Germany, Abidjan is not the capital of Ivory Coast. It is Yamoussoukro. I would've sworn Abidjan was the capital of Cote d' Ivoire. Thanks for sharing this informative piece. It moved to Quebec City from 1852 to 1856, then Toronto for one year (1858) before returning to Quebec City from 1859 to 1866. In 1857, Queen Victoria chose Ottawa as the permanent capital of the Province of Canada, initiating construction of Canada's first parliament buildings, on Parliament Hill. This also surprised me when I arrived in south Africa, I always thought Jozi was the capital . 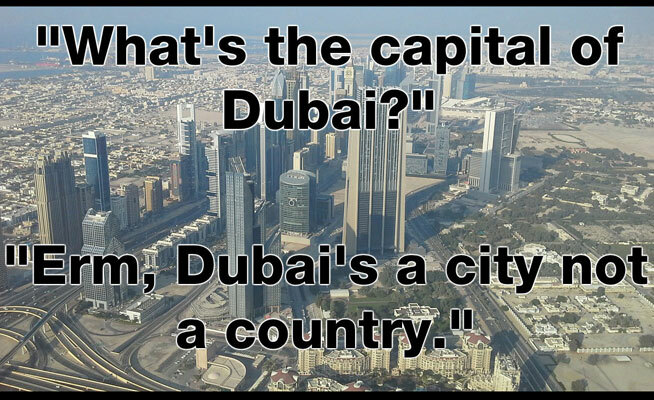 The primary answer to this question is Dubai is NOT a Country, but is an Emirate. Dubai is just a part of the United Arab Emirates and it is the most populated emirate in UAE. Note that Abu Dhabi is the capital of the United Arab Emirates and it is NOT Dubai. All the Emirates have their respective rulers. The rulers of these emirates elect the ruler of Abu Dhabi as the President of UAE and the ruler of Dubai as the Prime Minister of UAE. The same way many foreigners think Abuja is the capital of Nigeria not knowing it is Lagos. Lagos is money making State while Abuja is money looting city. Chicago is not the capital of Illinois. Cote d ivore shock me. As for america, many people know the capital.